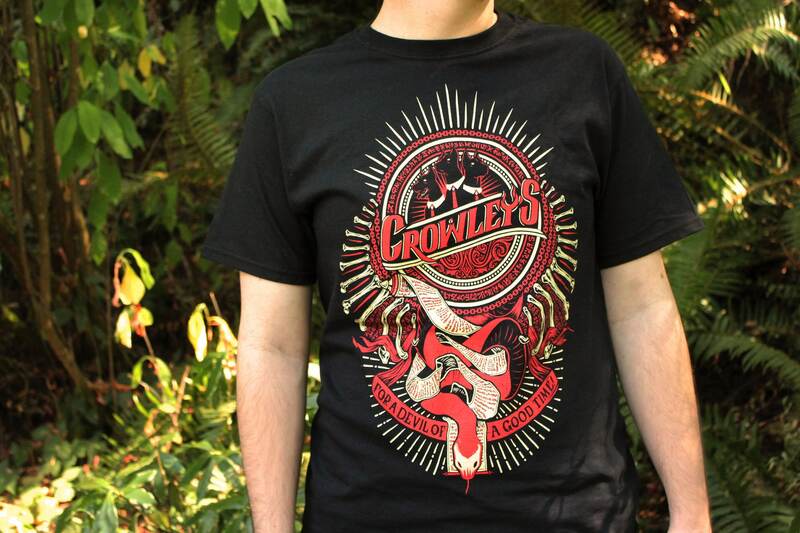 Say 'Hello Boys,' to this new Supernatural t-shirt design inspired by the one and only King of Hell! 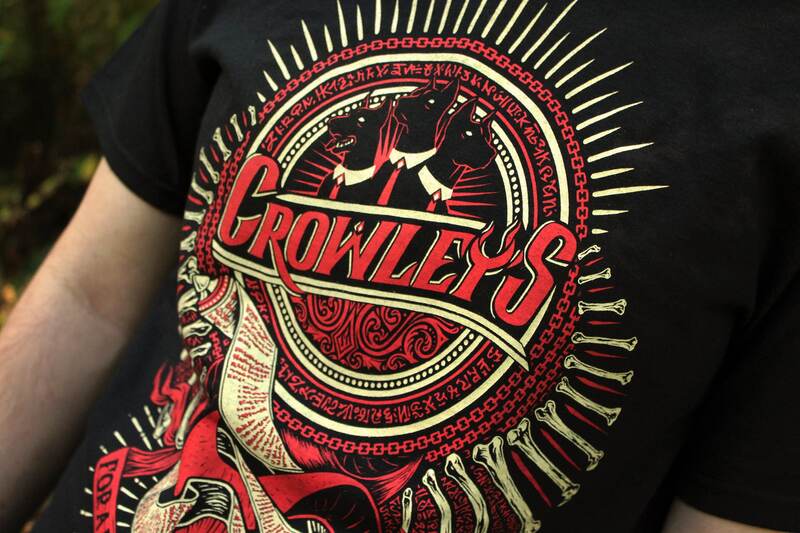 Crowley's design features all of his favorites; class, contracts, and of course Fluffy. 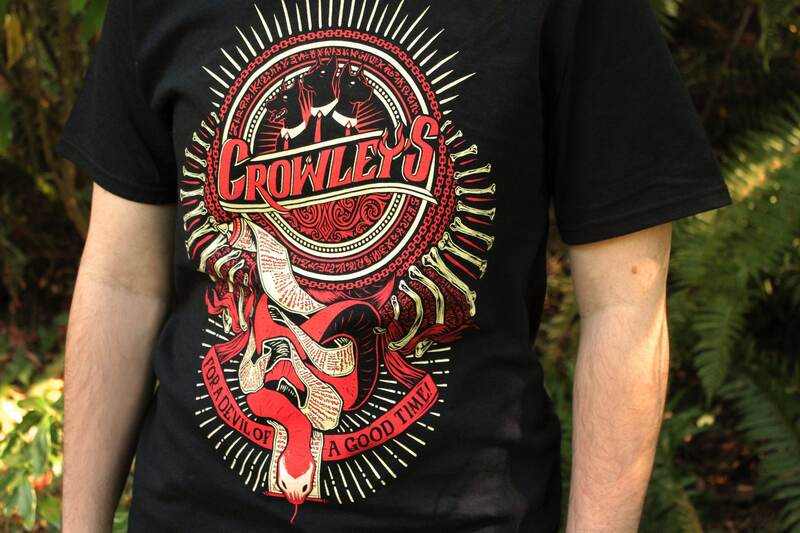 Printed with bone white and blood red ink, classic evil never looked so good! Every Unicorn Empire shirt is printed with care by our team right here in Washington State. We print with high quality, water-based inks and use traditional hand screen printing techniques, making our shirts uniquely soft and durable. When you order a Unicorn Empire tee, you can count on receiving a unique piece of wearable artwork that will last for years. Join us on Facebook for upcoming designs, new items, and special offers! If you have a request for a small modification to your order, like swapping one item for another in a gift set, then you can use the "Request Custom Order" button. I am not currently accepting custom order requests for custom printing such as printing on different colors, styles, or sizes. I do not accept custom order requests to modify my artwork. 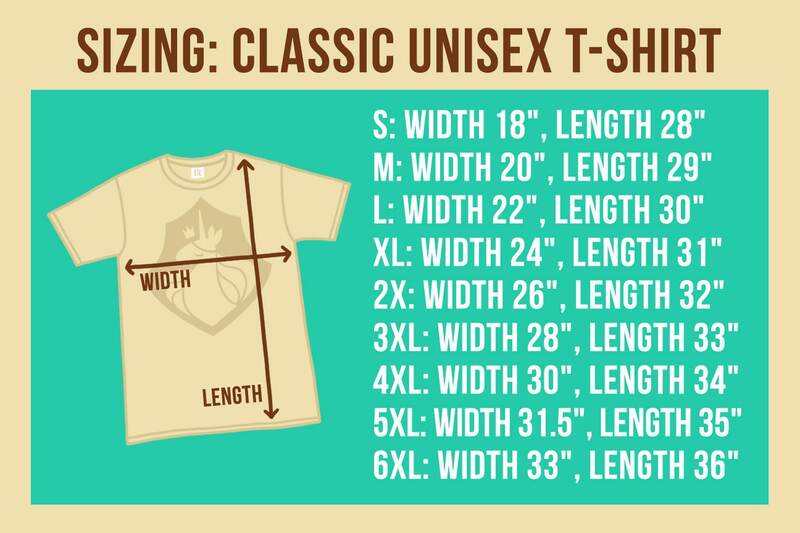 Each listing includes a size chart. 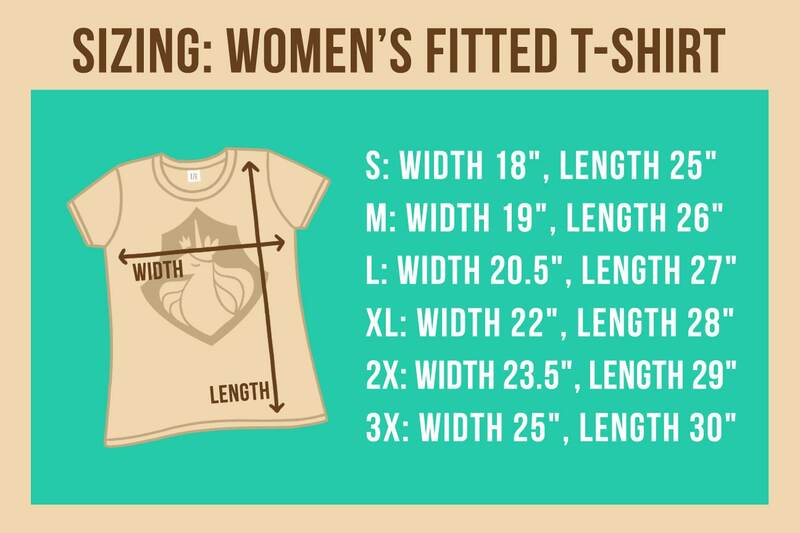 Our size chart includes measurements of the item when it is laid out on a flat surface. You can find the perfect size by comparing those measurements to the measurements of one of your own shirts that fits you well. Yes! You can now choose to add gift wrap to your order during checkout. Please note that gifts being sent outside of the US may be opened and inspected by customs. Unicorn Empire shirts are designed to last. Nothing makes me happier than meeting someone at a comicon who bought one of my shirts 5 years ago and seeing that it still looks crisp and vivid. To keep your shirt, hoodie, or tank top looking great just follow the instructions on the care tag. Machine wash and dry, but avoid high heat. For best results, turn your shirt inside-out before washing. Tote bags and pillow covers should be gently hand washed and laid flat to dry. It looks awesome. Can't wait until my Dad's birthday to give it to him! I'll update after his birthday on April 28th with pictures. 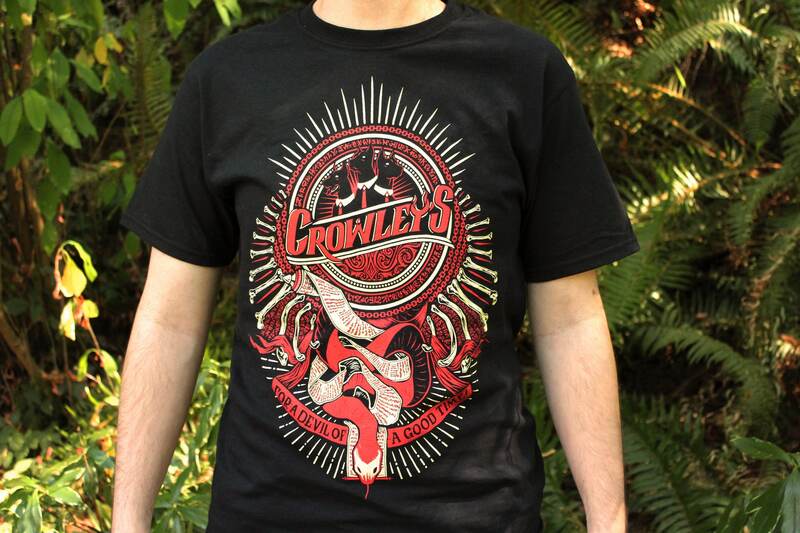 Bought this for my mom, we both love supernatural and this design is superb! 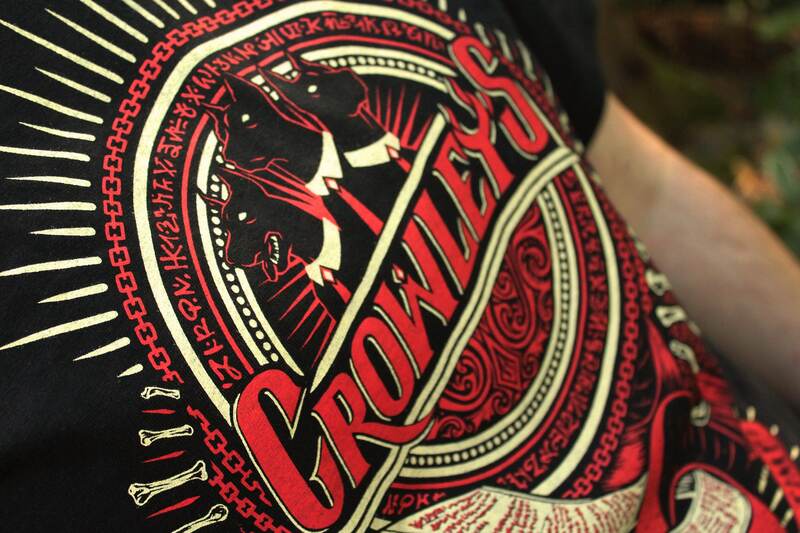 Soft fabric, crisp illustration, washes good! !